Pixel Scroll 5/9/16 A Transatlantic Tunnel In The Sky, Hurrah! (1) CONVERSATION. At Tor.com, Natalie Zutter tells about the appearance of N.K. Jemisin, Nnedi Okorafor, and Ibi Zoboi at the Brooklyn Museum’s Target First Saturday, in “Masquerade, Initiation, and Sci-Fi/Fantasy: N.K. Jemisin and Nnedi Okorafor in Conversation”. (2) DISCUSSING DISABILITIES. Today saw the launch of Our Words: Discussing Disabilities in Science Fiction. The purpose of Our Words is to focus on disabilities in speculative fiction, and give the disabled a place to talk freely and openly about our experiences in the genre. Furthermore, I hope to educate genre fans, authors, publishers, and whoever else about disabilities in the genre, in a comprehensive, well-rounded sort of way. This website will eventually expand to do interviews, discuss and review books, have personal essays, highlight issues in the genre, at conventions, and so more. Our Words is a website run by a disabled genre fan, for disabled genre fans. This is a place for us to all have a voice. A place for us to use our words, and be heard. (3) HARRY DRESDEN CARD GAME. Jim Butcher’s Dresden-verse has spawned a cooperative card game that is in the midst of being lavishly funded by fans on Kickstarter. Asked for $48,000, supporters have pledged over $379,000 so far, with nine days to go. (4) OWN A BRICK FROM BRADBURY’S HOME. Con or Bust is gathering items for its 2016 fundraising auction. John King Tarpinian has donated a brick from Ray Bradbury’s home, which was demolished in January 2015. Bidding opens on Wednesday, May 25, 2016 at 12:01 a.m. Eastern. It will close on Sunday, June 5, 2016 at 4:00 p.m.
(5) CAREER LAUNCH. Tina Jens at Black Gate mentions the magic number in “Things Your Writing Teacher Never Told You: Going to the Nebulas”. I require the students in the more advanced course, the Fantasy Writing Workshop, to complete at least one story and submit it to a semi-pro or pro market. But the course aimed at writing majors and non-writing majors alike, Exploring Fantasy Genre Writing, has more than half the students ready to submit a poem or short story for publication, as well. There’s always a few, each semester, but more this semester, I think…. As part of the last week of classes, for both my courses, I’m having a representative from our department’s Publishing Lab (run by students, for students, to help them submit their poetry, fiction, and creative nonfiction) come in. They help read proposed cover letters, find markets, and provide emotional support. The drill is this, with their laptops open and everyone tapped in to the school wi-fi, when a student author says they’re ready to submit, their finger hovering over the send button, the group does a mission-control countdown from five. Five, four, three, two, one, SEND! When the button is pushed, we ring a bell and give them a cookie. An actual bell, and an actual cookie. We’ve found both help.…. (6) CARL BRANDON AWARD. Nominations are open for the 2014 and 2015 Carl Brandon Awards. The Carl Brandon Parallax Award is given to works of speculative fiction created by a self-identified person of color. This Award includes a $1000 cash prize. 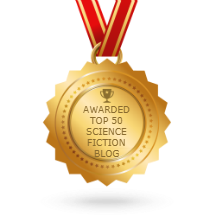 The Carl Brandon Kindred Award is given to any work of speculative fiction dealing with issues of race and ethnicity; nominees may be of any racial or ethnic group. This Award includes a $1000 cash prize. (7) KEN MACLEOD. The Herald of Scotland profiled “Science fiction writer Ken MacLeod on his Free Presbyterian childhood, his time as a Communist Party member and the future of humanity”. “I got disillusioned with my early Trotskyism and joined the Communist Party at exactly the wrong time in the mid-1980s.” You join us as Ken MacLeod, a man once described as “the greatest living Trotskyist libertarian cyberpunk science-fiction humourist,” is recalling his political history. “I think I left in 90 or 91,” he continues, “a few months before it dissolved itself. He stops and sips his coffee, looks out through the window of the South Queensferry café where we are sitting at the looming Forth rail bridge. For a moment Scotland’s industrial past and service sector present are invisibly united in the eyesight of one of the country’s most entertaining, politically engaged futurists. May 9, 2006 – Tobias Buckell became a freelancer. …My wife, Emily, has joined me to help out with the freelancing. So the business has grown. We haven’t killed each other yet being home all the time. I almost died just a few years into freelancing. Found out I had a heart defect. Spent years recovering and learning how to manage a whole new life. Had twins. Still trying to figure out this dad thing. Very much a learn as you go. I have published 9 novels in that 10 years, 2 under a pseudonym. There are two more written as of yet unsold as well. I’ve also done 4 collections, 5 novellas, and sold 36 short stories…. (9) COSPLAY ORIGINS. Jennifer Culp invites everyone to “Meet the Woman Who Invented Cosplay” in her article for Racked. Between the years of 1938 and 1958, she edited three separate long-running sci-fi fanzines (“editing” including all of the typing, mimeo, and physical work required to manufacture the zines, naturally) and wrote editorials for several major early sci-fi “pro”-mags in the early ‘40s. Basically she was the mid-20th century equivalent of a prolific, influential blogger. She married three times, had one son, and shared a decade-long romantic and creative relationship with fellow fan Forrest J Ackerman, with whose help she sparked off a phenomenon that would develop into costume-loving fan culture we know today. In the decades following her death, her memory has largely been resigned to footnotes designating her a mere “girlfriend,” and that’s a damn shame, because both with and without Ackerman Morojo was a badass…. Following her death in 1964 at the age of 60, Morojo found herself in an unenviable posthumous predicament: the most detailed and accessible record of her life and work exists in the form of eulogies written by two of her ex-boyfriends. (Hold up, just take a second here: can you freakin’ IMAGINE what a hell that could be???) Amazingly, her old flames Elmer Perdue and, of course, Forrie, seem to have done pretty damn right by her memory, publishing (of course!) a fanzine in her honor. Although Ackerman surpassed all others at drawing fannish attention to himself, as you can see he gave the credit in this case to Morojo. Nor was he the one who gave himself the title the inventor of cosplay. That was masquerade fans of an earlier era who named Ackerman the father of costuming, a move that may have been designed to catch some of his reflected glory for costumers, who at times have felt pushed to the margins by conrunners and fanzine fans. Just the same, Morojo – the actual creator of the costumes – was never treated as the primary historical figure before now. (10) BRITISH MILIARY SF. SFFWorld has an “Interview with Tim C. Taylor author of The Human Legion series”. The first book in the series, Marine Cadet has been released as part of the Empire at War collection. How has it been to join forces with fellow British authors and promote British military SF like this? It’s been wonderful to meet a few fellow military SF authors in the flesh at the recent British convention called Eastercon, because writing can at times be a lonely profession. To begin with, I had a lot of doubts. Can really do this? I had the idea of putting together a box set of military SF books, and hit upon British military SF as a theme, but I was treading new ground. American readers might find this strange, but to the best of my knowledge there has never been such a thing as a ‘British military SF scene’. I mean, the Warhammer 40K novels have been enormously successful, and one of the most successful of all British science fiction authors of recent years is Karen Traviss with her four Halo military SF novels that were all New York Times bestsellers. So it’s not a new thing for British authors to write military SF, but Warhammer 40K and its Black Library publishing arm seems to sit in a splendid and psychotic isolation, and Karen Traviss seems to be largely ignored by much of British fandom, as if writing the tie-in novels where she has seen greatest success so far means that she is not a ‘proper’ writer. To be honest, I haven’t previously placed a lot of interest in where an author was based, but when I looked at the bios of the new wave of military SF authors I had read in recent years, I was astonished to find how many were British. So when I started inviting authors (and an artist for the cover and interior illustrations) and saying, “Let’s do something together and call it British military SF”, I don’t think anyone had ever used that term before. Now that I’m more attuned to where people are based, I realize there are many more British authors I could have invited. By the way, I want to point out that although I kicked off ‘The Empire at War’ project, it was far from just myself doing the work, and it is a good feeling to create something as a group that we can all be proud of. …I so often feel this way about Wiscon. It feel like the big things, the stuff everyone talks about later, are always taking place somewhere I am not. In some other panel, some other party, some other room. Never the room I am in. But I gave this some serious thought and realized that I’ve actually been IN “the room” while “it” is happening at some points in the past. At Wiscon, or other events. I’ve been there. I’ve been, from time to time, the insider. It just never felt that way at the time. (12) THE AUTOBIOGRAPHICAL CAT. Ursula K. Le Guin continues “Annals of Pard: My Life So Far, by Pard, Part II” at Book View Café. I cried very loudly in the roaring moving room-thing on the way here, because I thought the awfulness and strangeness was all happening over again forever. I still always think that when they put me in box that smells of fear and the roaring moving room-thing. But except for that I have hardly cried at all since coming here. The aunty human went away and left me with the old queen and an old tom. I was distrustful of him at first, but my fears were groundless. When he sits down he has an excellent thing, a lap. Other humans have them, but his is mine. It is full of quietness and fondness. The old queen sometimes pats hers and says prrt? and I know perfectly well what she means; but I only use one lap, his. What I like to use about her is the place behind her knees on the bed, and the top of her head, which having a kind of fur reminds me a little of my Mother, so sometimes I get on the pillow with it and knead it. This works best when she is asleep. (13) FREE COMICS. James Bacon tells about spending Free Comic Book Day with the creators signing at Forbidden Planet, in “Fiends of the Eastern Front: Fodder by Hannah Berry and Dani at FCBD in Orbital”. It is rare that so many cool things could align so nicely. A free copy of 2000 AD is pretty much a boon, but finding that it contains a ‘Fiends of the Eastern Front’ story was really rather exciting. Entitled ‘Fodder’ the artwork is by Dani and is really quite lovely, but apart from it being on the paper pages, the originals are concurrently on display as part of Orbital comics Danistrips ‘Stay Cool’ exhibition on now until the 31st of May. This allows fans to get a closer look at the original work, which is always a pleasure to behold. Added to this, Dani the artist, and the writer, Hannah Berry were doing a signing with Peter Milligan, Matt Smith, Clint Langley and Alec Worley in the same location, to celebrate Free Comic Book Day. (14) CENSUS OF SF REVIEWERS. Strange Horizons has posted “The 2015 SF Count”. Welcome to the sixth Strange Horizons “SF count” of representation in SF reviewing. The goal of the count is straightforward: for the last calendar year, for a range of SF review venues, to calculate the gender and race balance of books reviewed, and of reviewers…. For race, our categories were “white” and “person of color.” These are crude, and such a binary division is arguably only valid here (as opposed to more specific categorisation) because the total number of POC is so low. Since race is difficult to determine reliably using only names and Google, it is probable that here, too, some authors, editors, or reviewers have been incorrectly allocated. We nevertheless believe that the count is worth publishing because the number of incorrect allocations is likely to be small compared to the overall number of individuals counted…. (15) GRRM IN GE. This month’s Galaxy’s Edge features short fiction by, and an interview with, George R.R. Martin. (16) JOE ABERCROMBIE. A week before he placed two novels as finalists in the Locus Awards, Joe Abercrombie participated in a Reddit Ask Me Anything session. It depends a lot what stage of the process you’re at, so the workflow is very different depending on whether you’re planning something, drafting something, or revising and editing. There’s always a fair bit of work to do that’s not actually writing – emails, interviews, dealing with the business side. When I’m drafting new stuff I try to make sure I actually write, uninterrupted, for 3 hours each day. That doesn’t sound like much but you can cover a lot of ground if you’re focused. 1,200 words in a day I consider acceptable. 2,000 would be good. 3 or 4,000 would be a great day. But then when you’re revising you might measure progress by how many words you cut. If there’s a trick I’m aware of, it’s just to make sure you put in the time even when you’re not feeling inspired. Sometimes you feel like you’re writing real junk, but just get it down, when you come back maybe you cut a lot of it, but there’ll still be stuff that’s worthwhile in there. Well war is certainly a fundamental of epic fantasy – Lord of the Rings is all about a war, likewise the Belgariad, Dragonlance, Wheel of Time, etc., etc. I guess I felt the fantasy I read as a kid had come to show the shiny and heroic side of warfare a bit too much, and the dark actions and dark characters were somewhat overlooked. Not a lot of trauma or PTSD. I wanted to look at the other side of it. (17) GLADIATOR JOINS MUMMY. CinemaBlend reports Russell Crowe has joined the cast of The Mummy. Yeah, I’m gonna do it. I’m gonna play Dr. Henry Jekyll, Fellow of the Royal Society. It’s very interesting, what they’re gonna do with that stuff. I’ve had a couple of chats about it with the director (Alex Kurtzman). There you go, ladies and gents. Russell Crowe will officially be freaking us all out in The Mummy. (18) KIP THORNE IN SOCAL. The OC Breeze announced “Astrophysicist Kip Thorne to give free talk on intersection of arts and science” at Chapman College on May 12. Noted astrophysicist Kip Thorne, Ph.D. knows a lot about the weird phenomena of time and space: black holes, wormholes, time travel and more. As one of the world’s leading experts on Einstein’s Theory of Relativity, Dr. Thorne has collaborated with many of the top names in science, including Stephen Hawking, and served as science advisor and executive producer on the recent blockbuster movie “Interstellar.” His multi-faceted interests in art, science and the universe know no bounds – and it is precisely this intersection of big ideas that Dr. Thorne will discuss in a free talk at Chapman University on Thursday, May 12, 7:30 p.m. in Musco Center for the Arts. Admission is free and open to the public, but a ticket is required for entry and can be obtained online at www.muscocenter.org or by calling 844-OC-MUSCO (844-626-8726). (19) CHEAP SEATS. They aren’t that cheap. Neil Gaiman and Audrey Niffenegger will join forces at a London event on May 31. Break your piggy bank. Author Neil Gaiman will do a rare public event in London to celebrate his new non-fiction collection, “The View from the Cheap Seats” (Headline), together with Audrey Niffenegger, author of The Time Traveler’s Wife (Vintage). The event, run in association with Headline Publishing Group, Penguin Random House, Waterstones and video streaming agency Streaming Tank, will take place at The Union Chapel, Islington, on Tuesday, 31st May. The two US-based writers will discuss Gaiman’s latest work, with “a couple of surprises” also in store, according to publishers. Tickets are £20 each, and include a free signed copy of The View from the Cheap Seats for every ticket-holder. The books will be distributed on the night by Waterstones, which will have a pop-up bookshop in place on the evening. The event will be live-streamed across the globe by Streaming Tank, via YouTube, Facebook and Twitter, so anyone unable to attend can also enjoy the “one-off” event. Gaiman and Niffenegger will be answering audience questions, both from within the chapel and viewers at home or in bookshops tuning in. Questions can be submitted via Twitter ahead of the event too using the hashtag #CheapSeats.